Junior Nadia MakMak in motion! The juniors and freshmen were coached by juniors Kameron Thorpe, Victor Kum and David Okoli. The sophomores and seniors were coached by seniors Spencer Neil, De’Jion Martin, Sam Berhanu and sophomore Baebaa Sayeh. The game opened up with senior A’Shanti Roger running for a 50-yard touchdown to give the seniors and sophomores a six-point lead. The extra point was good and kicked by sophomore Jaden Gaboton. 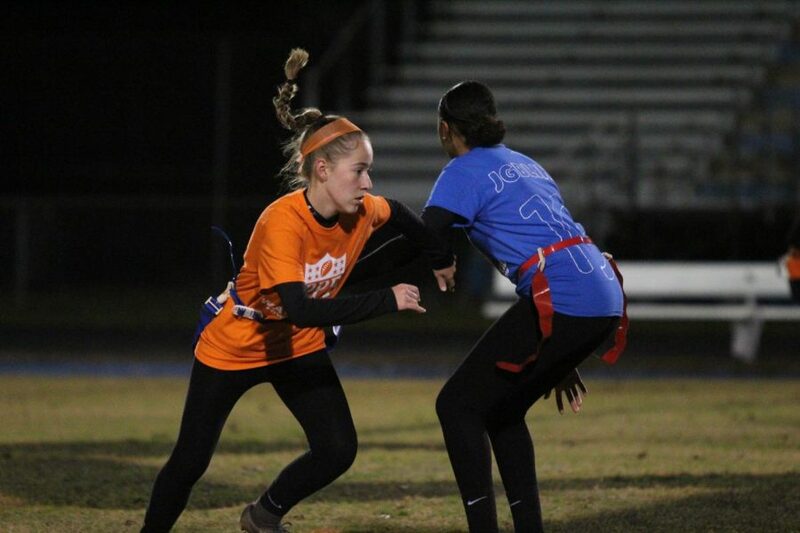 After three consecutive scores by Roger, the juniors and freshman put six on the board after junior track star Amelia Burton ran over 50 yards to score a touchdown, bringing the score to 19 to 6 at the end of the third quarter. Juniors had great defensive plays from junior track star Rachel Jansen and Barnes both putting in a lot of work. Sayeh loved how the team played. “They performed excellent,” Sayeh said. “I told my girls that the winning team would be the team that runs their techniques and performs and that’s exactly what they did. Seniors and sophomores closed out the game with a last-minute touchdown by senior Annie Riley to close out the game 31 to 6. The winning team! 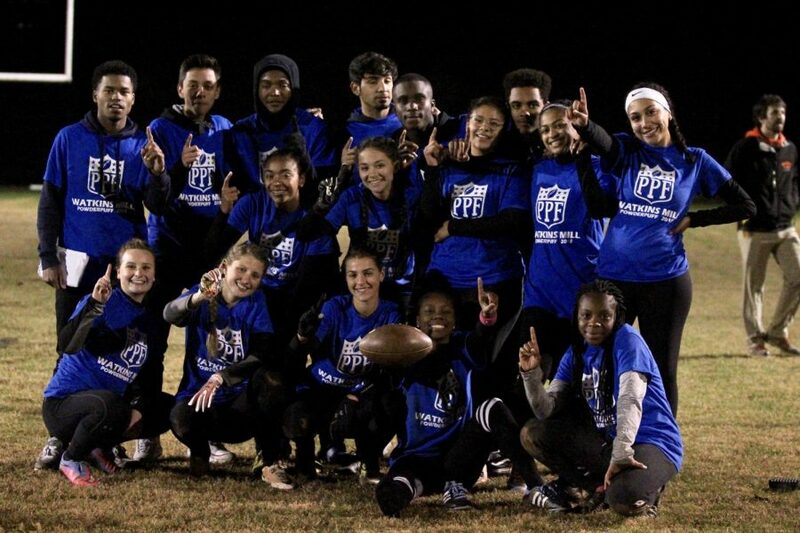 Seniors and sophomores take the win and hold up one finger to show that they're number one!